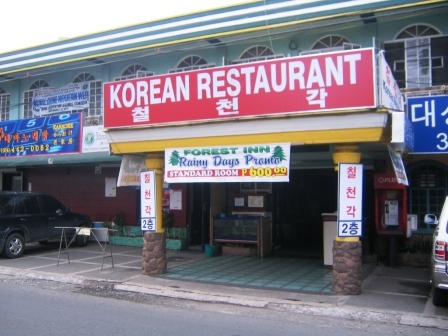 Forest Inn Baguio a good option for the budget minded. Forest Inn Baguio a budget alternative. Since I arrived late in Baguio, I decided that budget accommodation was what I needed. I could always look for something better in the morning when I had more time. There were a lot of choices along Legarda Road, not surprising as it is the main road in Baguio, it is filled with restaurants and pubs. The Forest Inn was recommended by a friend as a good budget place to stay. So I checked myself in to the Forest Inn Baguio. 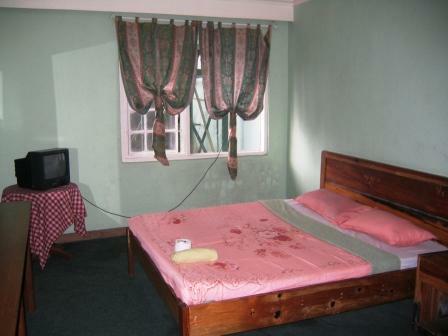 The standard room started at $15 US dollars a night. You can get an idea of how much accommodation at Forest Inn Baguio will cost you here. The rooms included a private toilet and bath, a dinette, big closets and carpeted floors. But I decided to splurge and took the Deluxe Suite, which you can see in all its glory below. When I arrived at reception I expected a budget greeting from the hotel staff, but the staff were first class, very helpful and polite, not quite what I was expecting, this was looking promising! I booked an earlier reservation because I new I was going to arrive late and I was caught off guard when the lady at the front desk greeted me by my name and confirmed if I indeed was the correct person. All in all so far, the Forest Inn Baguio had really good customer service, I tend to remember these tidbits for when I do hotel reviews, friendly accommodating staff always make my stay more enjoyable, so full marks for customer service! Considering Baguio's Forest Inn is situated smack bang in the middle of the busier part of Baguio City, I was very happy when I noticed that the deluxe room I was staying in did not face the busy street, my room was at the hotel’s right wing. Note: When booking a room ask to be facing away from the main street, a bit less noise. Even though I was facing away from the main road, noises can still be heard from the adjacent rooms and there were intermittent doors slamming from other guests and even the employee staff! Lets not forget that this is a budget hotel, my room was not particularly clean, the water from the shower trickled out rather than gushed and I had to move around in the shower to get wet! I also did not have the room to myself, I had the pleasure of sharing it with some rather large cockroaches, but I must admit they left me alone. Being a stickler for safety, one good thing though, which I have strongly noted during my short stay, were the well functioning door and window locks, considering the hotel’s medium level of security. It is always a good thing to know you are safe. Is the Forest Inn Baguio worth the money? Well in spite of these short comings, its proximity to the city can’t be ignored. 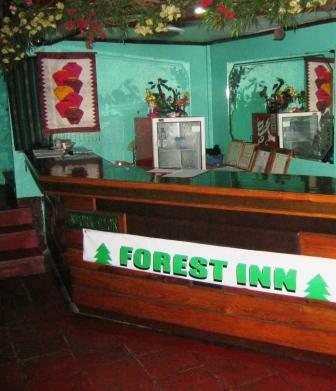 Forest Inn is walking distance to Burnham Park, Session Road and most of Downtown Baguio. Forest Inn Baguio indeed is far from being stellar, but if you find yourself not knowing where to stay in the city, it is a cozy enough place to pass your one or two nights. Let’s not forget the Baguio Forest Inn is a budget hotel. You can get an idea of how much accommodation at Forest Inn will cost you here.